I went to the Church again this morning and I thanked God for the nice weather today. It's just neutral. We encountered bad weather since a month already, extremely hot in the afternoon and raining in the evening. The worship service was successful and I’m thankful I was able to meet and had fellowship with our co-believers in Christ again. I just pray that our church will be completely done very soon. 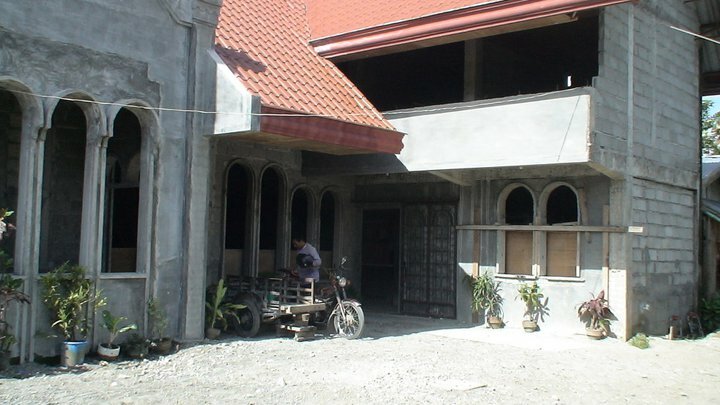 Still our church until now is under construction and still we need financial support in finishing it. God will provide, I know.